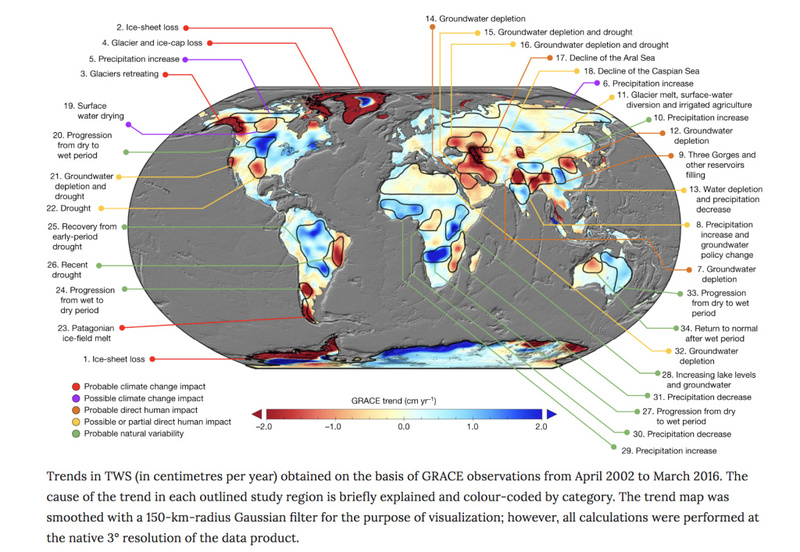 A color-coded map of freshwater availability shows global trends from April 2002 to March 2016. TWS is an abbreviation of terrestrial water storage. The earth's wet regions are getting wetter, and dry ones, like California, are getting drier, according to a first-of-its-kind study that used NASA satellites to track 14 years of change in how water is moving around the globe. 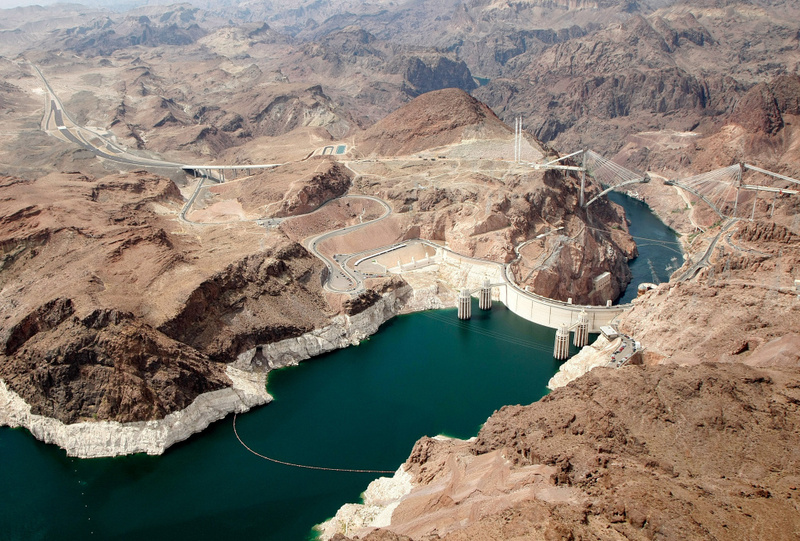 An aerial view of the Hoover Dam in the Lake Mead National Recreation Area of Arizona in 2009. Southern California loses the groundwater equivalent of the volume of Lake Mead every 15 years due to drought and farming. That's 32 gigatons of water, said Jay Famiglietti, senior water scientist at Jet Propulsion Laboratory. A gigaton is one cubic kilometer of water. That loss matters because groundwater makes up about one-third of our water supply. There is some good news, said Famiglietti, who co-authored the study published Wednesday in the journal Nature. Southern California's cities have become more sustainable through water conservation efforts like sewage recycling, stormwater capture and desalination. "The bigger concern is all the water that we use for agriculture because it's a tremendous amount. 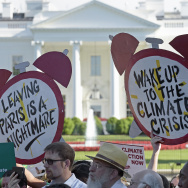 And we can see from the satellites that it's running out," Famiglietti said. Water flows through an irrigation canal to crops near Lemoore, California in 2016. 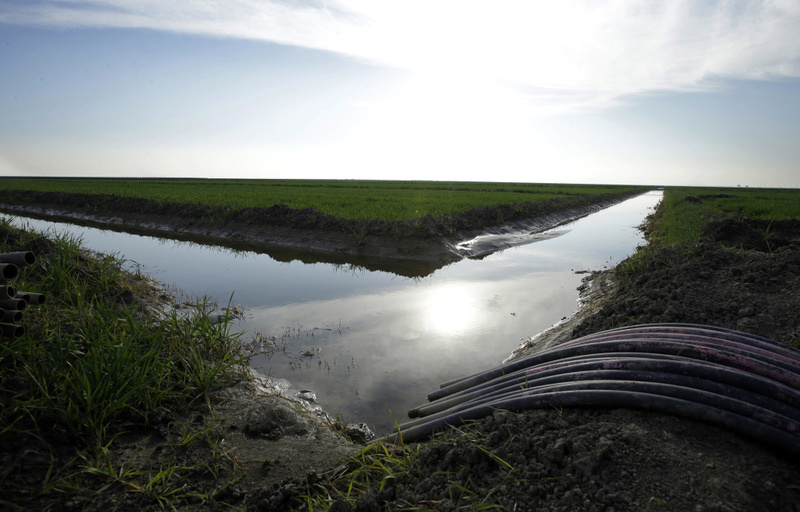 California voters in 2014 approved the Sustainable Groundwater Management Act that requires new measures to capture storm runoff and sustain groundwater supplies. 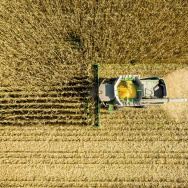 It might be implemented in the form of new rules on crop selection imposed by watermasters in Southern California's various water management basins to reduce groundwater depletion. "At some point we may be thinking about what are the right crops to grow in the right locations," Famiglietti said. "It may be that a groundwater sustainability plan specifies a rate of depletion within a groundwater sustainability agency or within a groundwater basin. Then it's up to that basin how to use that water." "They can fight over what to plant: Is it going to be baby carrots? Is it going to be an orchard crop that you know that's going to use water continuously," he said. In an effort to comply with the SGMA, the Los Angeles County Board of Supervisors is drafting a parcel tax measure for the November ballot which, if passed, could raise billions of dollars for new stormwater capture and groundwater supply projects. 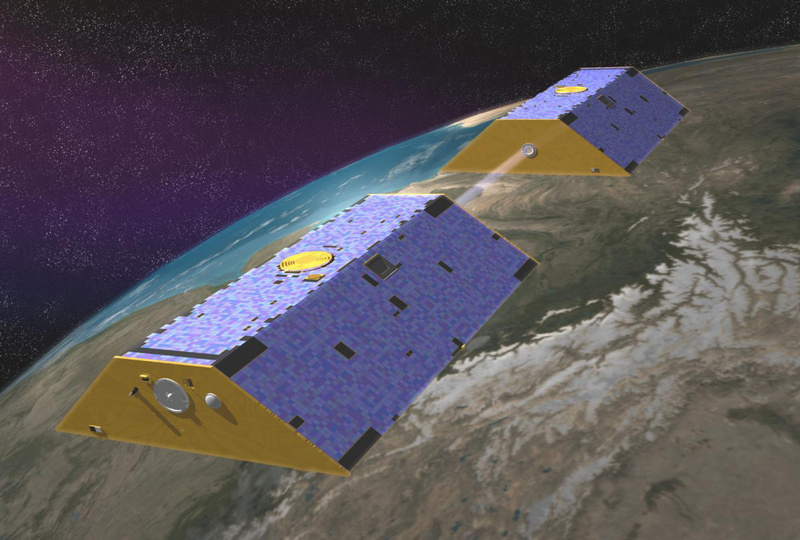 GRACE, twin satellites launched in March 2002, measured changes in the Earth's groundwater supply for 14 years. The study data was gathered by JPL's Gravity Recovery and Climate Experiment (GRACE) twin satellites from 2002 to 2016. They tracked changes in the earth's liquid water, ice and the solid earth. The two satellites ran out of battery power and were decommissioned -- by having them crash and burn -- last winter. A new satellite to continue the study will be launched on May 22, Famiglietti said. Worldwide, the study found 32 regions where natural weather variations, unsustainable groundwater consumption, climate change or a combination of those factors had reduced the amount of groundwater. The biggest changes appeared to be in Northwestern China and the Okavango Delta, in northern Botswana.